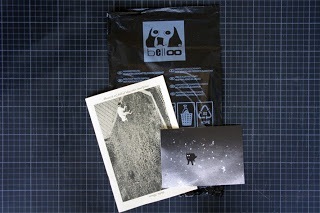 Today’s digest brings you a handful of “bizarre” stuffs. Today’s pick? The “Black Orthodox” reportage. Of you wish to start a book collection, why not starting there? 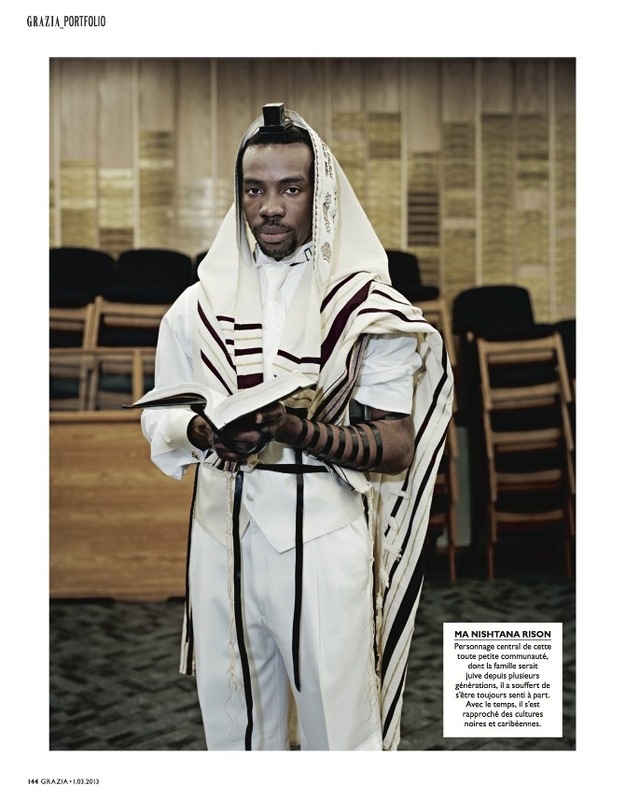 Instituteartist spotted in Grazia this very interesting photo reportage about the black Jewish orthodox community. A must read! 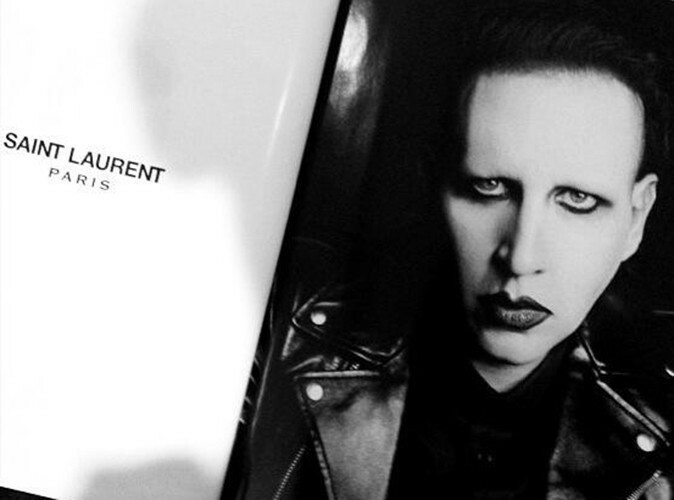 Now to move to something much less orthodox… Marilyn Manson poses for Hedi Slimane and therefore Yves Saint Laurent… Not THAT surprising but who would have thought huh?! In 2013, Kim Gordon half-wears a Le Smoking, photographed by Hedi Slimane as part of his Saint Laurent music project, premiered here. A portrait series drawing on the relationship between rock icons and the house since its earliest days, the killer move being the artists style themselves in its seasonal and permanent collections to create an image of their own expression. This is luxury isn’t it? Lindsay Wilson and Naomi Campbell brought together under a cinematic light. I m in! This entry was posted in fashion, fine arts and tagged cats, dogs, fashion, fine arts, Jewish, Lindsey Wixson, Marilyn Manson, Naomi Campbell, photo books, reportage, satan, ysl. Bookmark the permalink.